I feel for my brother mercilessly caught in the friend-zone, doing his damnedest to paddle back up the rapids toward a different sort of relations with the enigmatic Holly Golightly. Breakfast At Tiffany’s is a masterful novelette, clocking in at what I approximate to be 27,000 words, a short read but an immensely satisfying one. The characters that Capote bothered to develop well, namely the narrative voice main character and Holly Golightly, are steeped in what could only have been Capote’s own personal experiences. 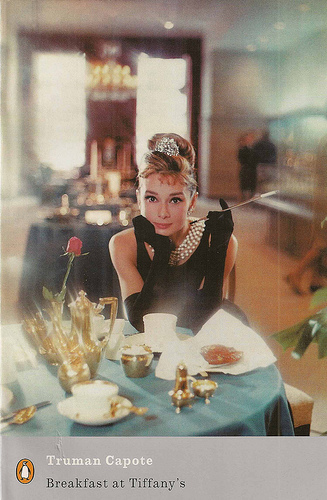 Most of us will have known a Holly Golightly ourselves, someone charismatic yet incredibly fragile, charming and impossible to pin down in one place for very long despite our best efforts. It’s a love story, but it goes beyond a love of a mere romantic nature and dwells instead on our love of people and how other people enhance our own lives, broadening and challenging who we are before we even know who we are exactly, if we are ever anything in particular. And that’s the great lesson of the novel: that people might not be who we think they are, and we are nothing at all what we thought we were and are susceptible to being ever-changing. While Holly Golightly and her escapades dominate the novelette, it’s all the other characters that gravitate toward her, some strange and downright alien at times, that give the story it’s colour. For those of you who haven’t ever read Truman Capote, here’s where to start. If you’ve ever been friend-zoned and you’ve watched helplessly as your Holly makes mistake after mistake then this story will resonate with you in a very humorous way. If not, then read it anyway. It’s fantastic.